Join us for August’s Second Saturday as we harness the magic that’s growing in your summer garden or overflowing the farmer’s market tables! 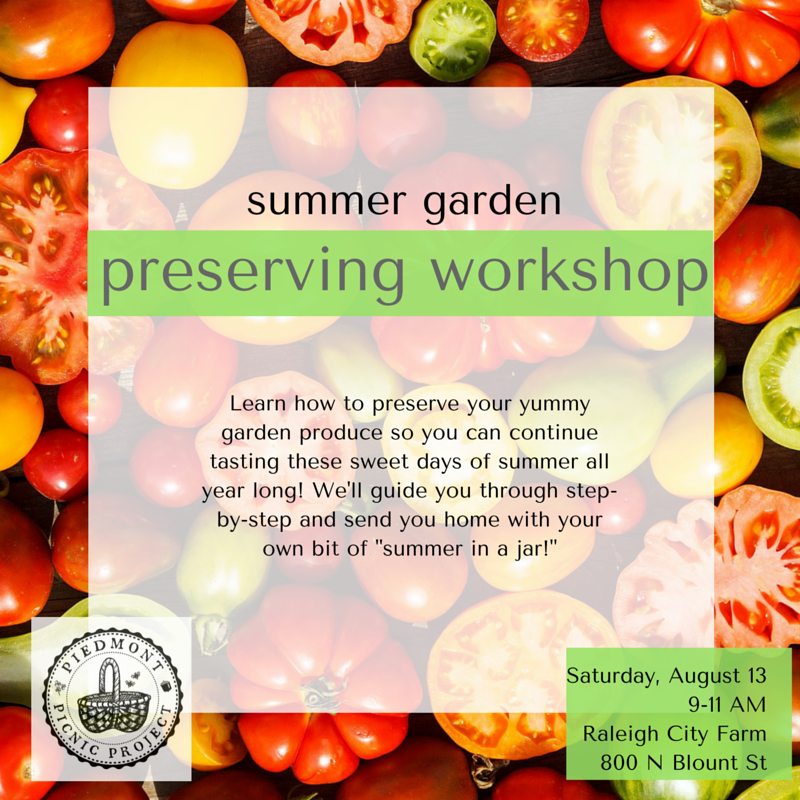 We’ll be back at Raleigh City Farm for this workshop, and we hope you’ll join us! Tickets available here, or you can purchase on-site.